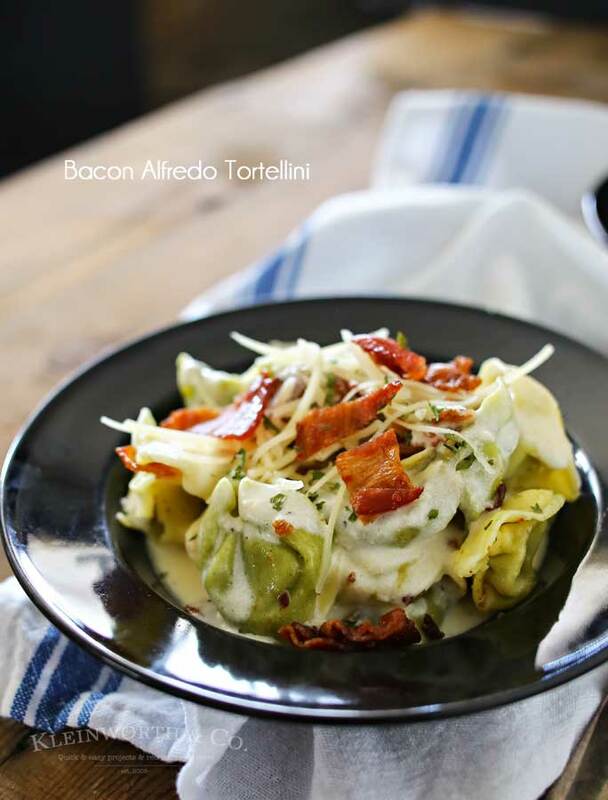 Bacon Alfredo Tortellini is an easy family dinner idea for bacon lovers everywhere. Homemade alfredo sauce, cheesy spinach tortellini & crispy bacon is so good. I have a deep love for pasta dishes. I also have a deep love for bacon. Who’s with me on that? So of course, I combine the two whenever I can to make some incredible easy family dinner recipes that keep the whole family coming back for more. 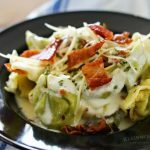 This Bacon Alfredo Tortellini is one of those super simple dishes that we can make in about a half hour. That makes me happy, because as I’m sure is the case in your house, dinner time is already hectic. I like meals that aren’t complicated & that come together in very little time. With so much going on, who has time for complicated? Pull out your favorite stockpot & baking sheet & you are on your way to a delicious dinner- no sweat. 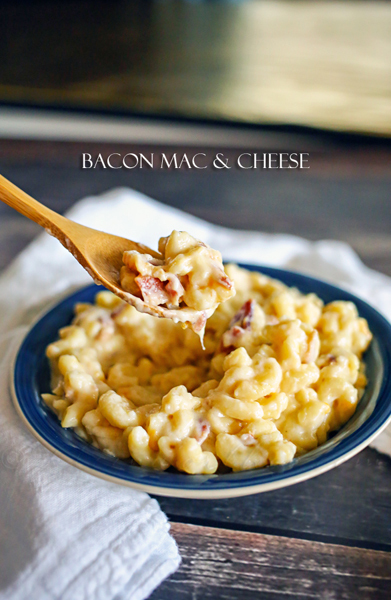 Because we make this dish all the time, I thought it would be the perfect recipe to share today to kick off BACON MONTH. All through August stay tuned for bacon-themed recipes here. You see, I joined up with my friends for the 4th annual Bacon Month. 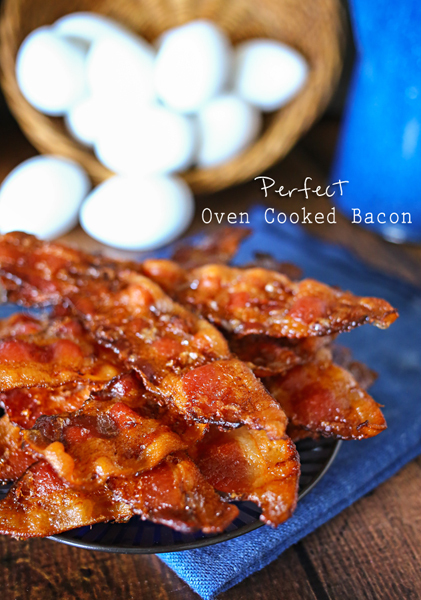 So a couple times a week we will be sharing our favorite bacon recipes in celebration of delicious bacon. 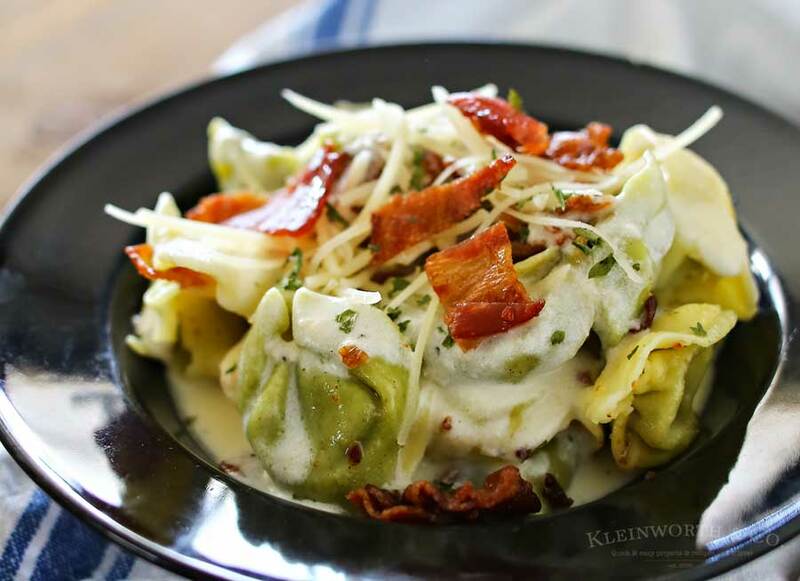 Bacon & tortellini smothered in homemade alfredo sauce is absolutely delicious. 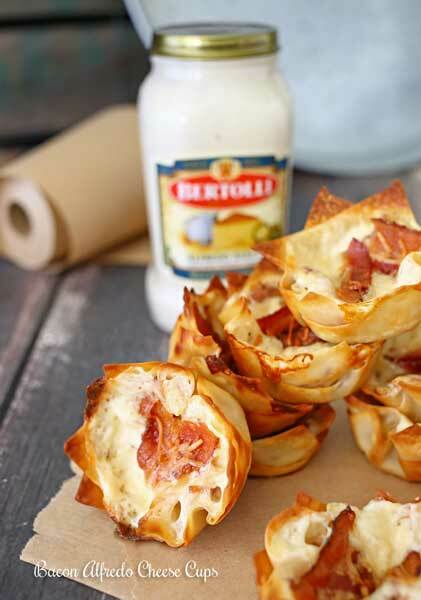 If you love bacon, pasta & alfredo- you will quickly fall in love with this delicious dinner recipe! 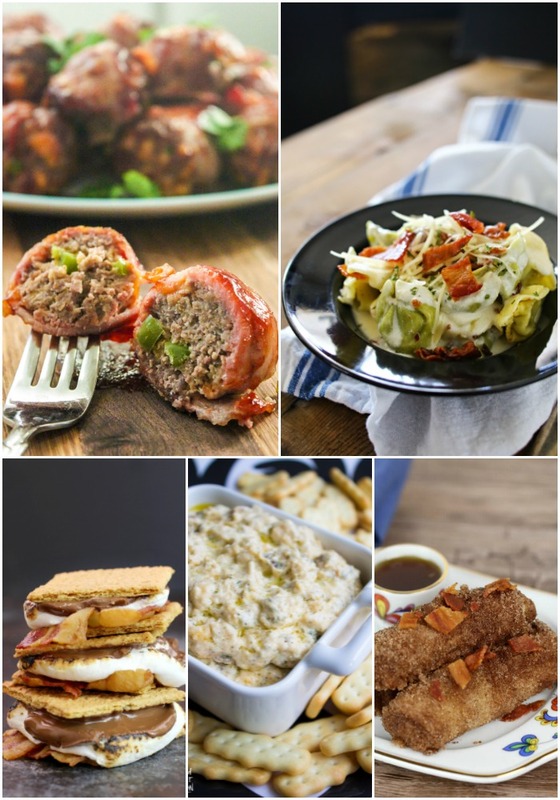 Looking for more of our easy family dinner ideas? This sounds so Heavenly!! YUMMY! 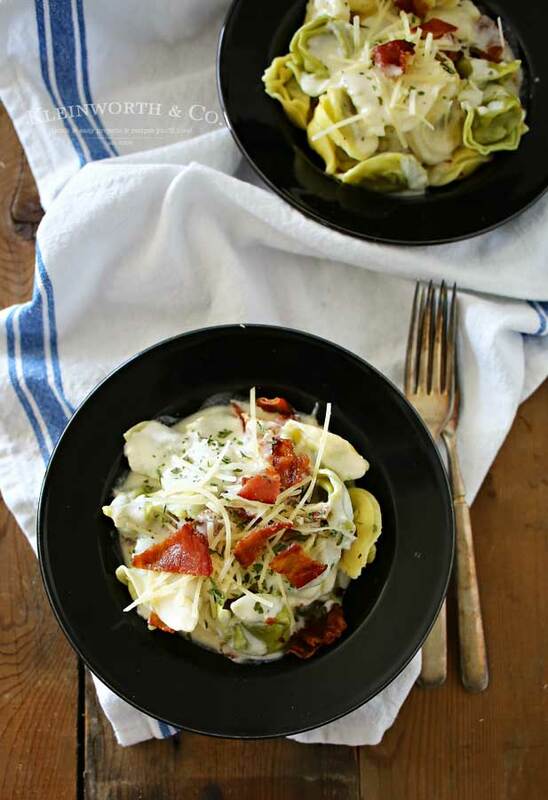 What a great Tortellini Recipe, we will love it. Hope you are having a fantastic day and thanks so much for sharing with Full Plate Thursday!